The Many Mini-Adventures of the Wards: We prefer NO 3D with our Dragon. Thank you very much. 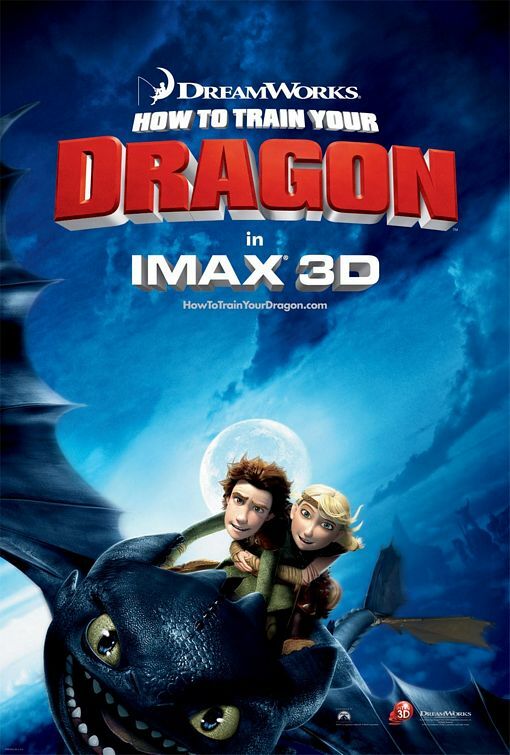 We prefer NO 3D with our Dragon. Thank you very much. We are NOT fans of the 3D movie craze that is happening right now. Wearing those glasses for an entire movie is so cumbersome and uncomfortable! We chose to see the regular version. The beginning was slightly slow moving, but the pace picked up pretty quick once the main character finally met the dragon. There were several belly laugh moments - the giving of the new helmet scene was my personal favorite. We (Jeremy, Jennifer, Trevor, & Logan) thought it was a great movie. It was a different change of pace for the movie industry - a film about vikings. There aren't many of those out there these days. We'll definitely get it on Netflix when it comes out on DVD. We may even buy it (depending if I can score a great coupon deal or not). 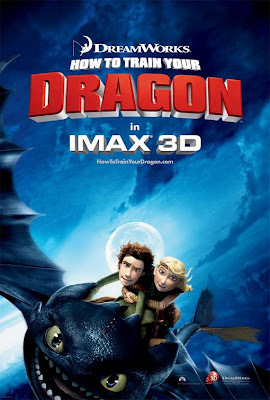 If you like animated movies, have children, you are a child, if you've ever wanted to fly, if you like dragons, vikings, and like being entertained then this movie is for you. We thought it was a perfect family show. You may want to wait to see it in the $3 theater or just rent it from the RedBox, but any way you see it, you'll enjoy yourselves. It was made by DreamWorks after all. They gave us Shrek and Kung Fu Panda. They know how to make a superb movie. "Consensus: Boasting dazzling animation, a script with surprising dramatic depth, and thrilling 3-D sequences, How to Train Your Dragon soars." We give it 4 Night Fury Dragons out of 5.